When I first set out to post a monthly update on this site, I expected that it would be an easy way to find something to write about. That has not proven to be the case this month, though, because I’ve hardly driven at all. The Leon has racked up about 250 miles, while the Outback has acquired another 550 or so. Were we to highlight the selfish actions of our fellow drivers, the list would soon occupy a considerable amount of space. But I choose today to highlight one in particular: The wrong-way parker. For as long as I have been driving, I have made efforts to park on the side of the street facing in the direction of travel. Friends have even ridiculed me for this driving pedantry, particularly when, on streets with parking on only one side, I would go so far as to find a place to turn round just so I could park facing the correct way. Perhaps I am an extreme example. But then again, maybe it just appears that way given the growing number of people who don’t even put a modicum of effort into parking properly and considerately. Yours truly being the only one parked correctly in this photo. Well, in this case, absolutely nothing went wrong. In fact, thanks to the car, this was probably the most comfortable and enjoyable road trip I’ve ever been on. A wet Monday morning, all packed and ready to go. I don’t want autonomous cars, but does that matter? 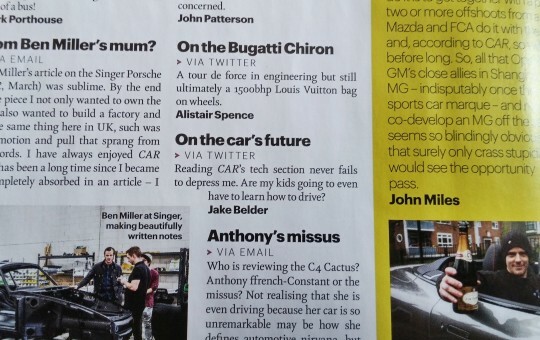 Opening the latest issue of Car Magazine revealed a surprise, as a tweet I had sent had been published in the letters section. I still largely stand by the sentiment. Quite honestly, I hate the idea of autonomous cars. You could throw all the data in the world at me about how much safer they are, how much better for the environment, how much they’ll reduce commuting times and congestion, but I still won’t be swayed. And that is simply because I love driving. I love being in control of a vehicle. I love the feeling of the road coming through the steering wheel, that sensation of the engine respond to my right foot, the satisfaction of gears changing at my command. Driving for me is never merely commuting. It is a fully immersive experience, a connection between human and machine. Although I lamented whether my kids, currently aged 5 and 3, will ever have to learn how to drive, it only recently occurred to me that they might not even care. 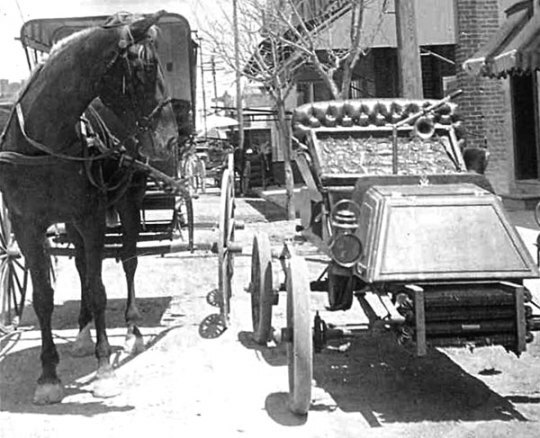 Perhaps we are living in time of transition similar to that of the transition from horse and carriage to horseless carriage. 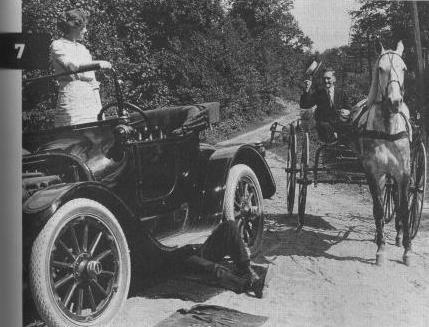 Around the turn of the 20th century, when the early automobiles were first being introduced, they had their fair share of opponents, not least those thoroughly enjoyed riding horses or managing a team pulling a carriage. It is not hard to see why: horses had proved a reliable means of transportation for centuries, and the first cars were noisy, demanded massive changes to infrastructure, required constant maintenance, and were fairly prone to breaking down. The younger generation, however, lauded the advent of the automobile, especially when companies like Ford made them so accessible. Perhaps I am that older generation now, resistant to and wary of the inevitable change, whilst my kids will be eager to embrace the new and novel. I’m sceptical that they will provide all the advantages automakers are suggesting, and think there are some serious ethical questions that have yet to be adequately answered. The one thing I can take comfort in, I suppose, is that, like the transition from horse to car, the introduction of autonomous cars will require significant changes as well, particularly to our current infrastructures, and so will take considerable time to fully implement. If I am blessed with good health, I’m quite certain that I will be able to enjoy driving as long as I live, or at least as long as I’m physically able to drive. Should I be depressed reading CAR’s tech section? In the end, it doesn’t really matter how I answer that question. You’ll have to ask my kids. You can’t help enjoy stories like this. I’m not all that surprised the Model T managed the trip without much difficulty, given the conditions the car was originally designed to drive in. Travel was once a way to understand topography, but the modern road network often disengages us from it. Most of the time, all that’s visible from a motorway is fast-moving embankment or a half-mile strip of field. On the dashboard, the satnav tells us nothing about the physical characteristics of the land we travel through – only that we are on the right route. Whilst her point could easily be true for those who use their cars merely for commuting purposes, as a means of getting from A to B as quickly and effortlessly as possible, I find the complete opposite to be true for those of us who consider ourselves recreational motorists. 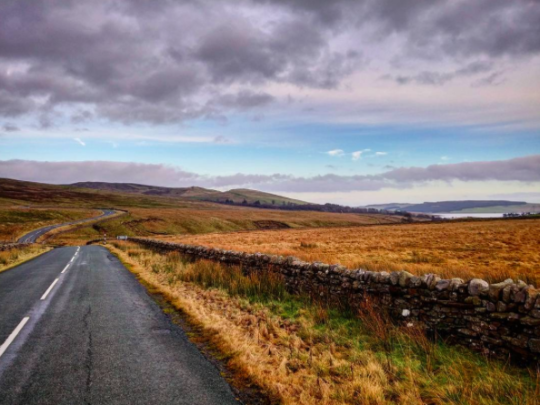 One of the things I’ve taken to doing on my day off on Saturday is to load up my young sons in the back seat with some books and toys and head off into the North Pennines or the empty spaces of Northumberland to explore the backroads. 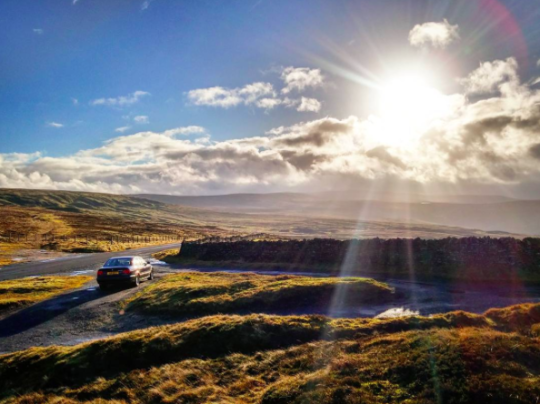 Part of the reason I do so is to enjoy both my car and the act of driving in places where I can open it up a bit more, navigate twists and turns, and let my ‘ultimate driving machine’ do the sort of thing it seems to have been designed to do. But it is not just the car that comes alive in places like this; my senses do as well. The kind of recreational motoring I do at the weekend has given me a fresh love for rural Britain. 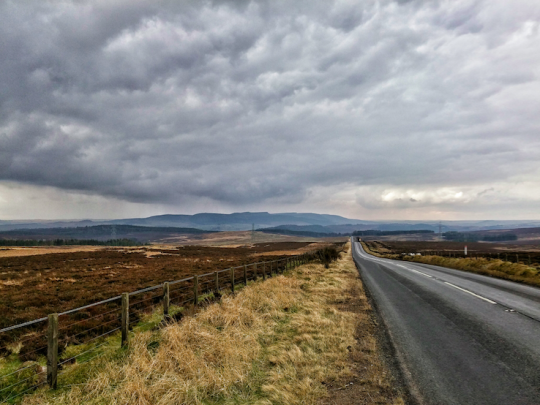 The moorlands and hills of County Durham and Northumberland are beautiful places, and I thoroughly enjoy the opportunity to spend some time admiring the countryside. 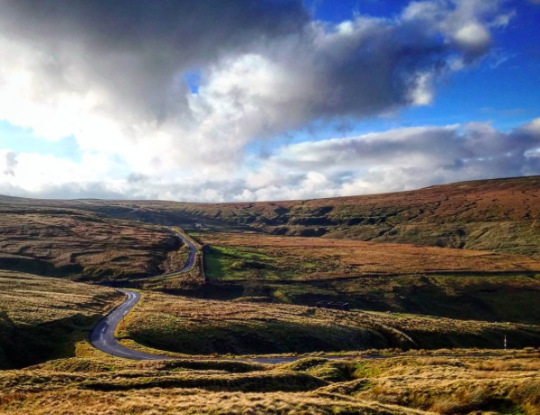 Whether it’s coming round a sharp bend and seeing a stream tranquilly cutting its way through the moors, spanned by an old stone bridge, or cresting a hill and watching a wide expanse unfold before me, I drive to take in the land and its physicality as much as I do to enjoy the car. More, I begin to feel its contours, its rises and falls, through the vehicle as we traverse the landscape (and this becomes even more true, perhaps, in adverse weather conditions). The fact that I stop rather frequently to take photos of the places we drive through (much of which ends up on my Instagram feed, a few samples of which are posted here) is, in part, a testament to that. It puts a smile on my face when my 5-year-old son, learning to appreciate the world around him, will look out the window and say, ‘Daddy, look, it’s so pretty!’ And every once in a while we step out of the car to simply be in the place, to hear the sound of the wind and the babbling of the stream, to watch the way the sunlight casts its rays across the hills and vales, to take in the silence, before we continue on to discover the delights that lie round the next bend. We all exist beyond our world horizons now. Yet for me there’s still no way of understanding a landscape without walking it: without using, as generations have before me, feet and body and breath. To belong somewhere – or to write about it well – we need to step out and seek thing-experience, too. As someone who enjoys walking, I don’t dispute the merits of the activity. 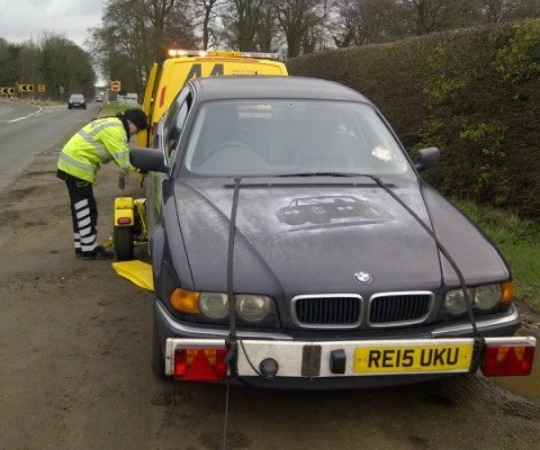 But if the car detaches us from the countryside, it’s only because we allow it to do so. James Ruppert coined the idea of ‘bangernomics’ a couple of decades ago. ‘Bangernomics,’ he says, ‘is a big, important sounding word for something very simple, which is buying and running a car on a shoestring. 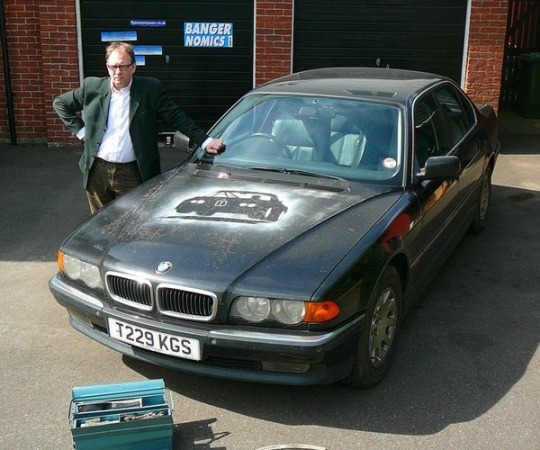 It means not worrying about depreciation or cosmetics, and gives you a nice warm feeling in the pit of your wallet.’ For the last four years, Ruppert has been driving an E38 BMW 728i, dubbed ‘Shed 7′, a vehicle he suggests really encapsulates the idea of bangernomics. Sadly, Shed 7 recently met an untimely end, with a split radiator, and the head gasket and a few seals gone as well. This is a shame for a car that Ruppert says is ‘quite simply…one of the very best cars I’ve ever owned’. After the Volvo I owned in Florida, mentioned in a previous post, I was really drawn to the idea of cheap motoring. And so, when the time came to buy a car over here, I was excited to learn about the idea of bangernomics and inspired reading about Ruppert’s 728i. In fact, I spent quite a bit of time searching for an E38 myself before I eventually found my E39. Bangernomics appeals to me for many reasons. It means you can drive a nice car like a BMW for small amounts of money, there is the enjoyment of searching for the right vehicle, it provides an opportunity (should you want it) to get your hands dirty carrying out your own maintenance, and provided the car doesn’t blow up or get wrecked, likely won’t lose any further value. And although I confess to being more concerned with cosmetics than I ought to be, I expect to be a life-long member of the Bangernomics club. Farewell, Shed 7. Though I never knew you in the metal, I owe a lot to you. Scenes of spring in York. I think this might be the first modified Kia I've ever seen. An afternoon in the drive changing some fluids. I started with the gearbox oil, which I've been meaning to change for a while. The plugs on this particular gearbox require a 16mm XZN socket, which I had to buy just for this. The fill plug is in a bit of an awkward spot too, so I made my own funnel with some tubing. It's slow, but it doesn't make any mess compared to using something like a suction gun. Finished up with an oil change (as always, making a mess with the inconveniently placed filter), before giving things a once over. All looks good, and still running as well as ever.